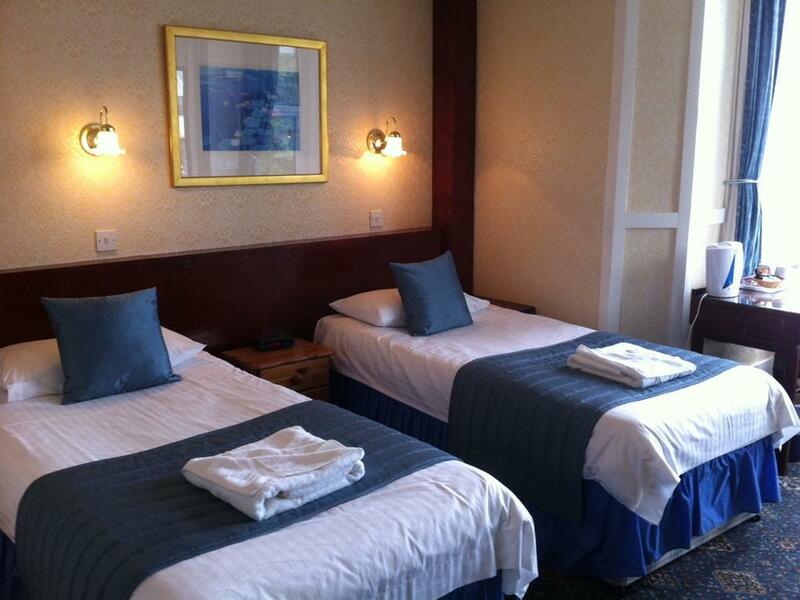 Cosy double rooms with ensuite shower, flatscreen TV, radio/alarm and tea & coffee making facilities. Rate includes unlimited WiFi. 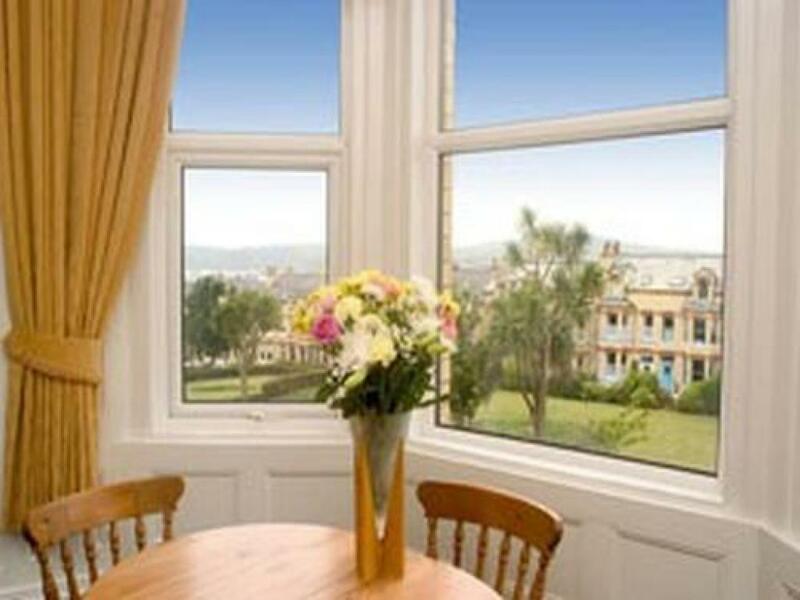 First floor rooms are available, however, second and third floor rooms have the best views overlooking Douglas Bay. Please request preference when booking, although this cannot be guaranteed. Well presented twin rooms with two single beds, ensuite shower ,flatscreen TV, radio/alarm and tea & coffee making facilities. Rate includes unlimited WiFi. 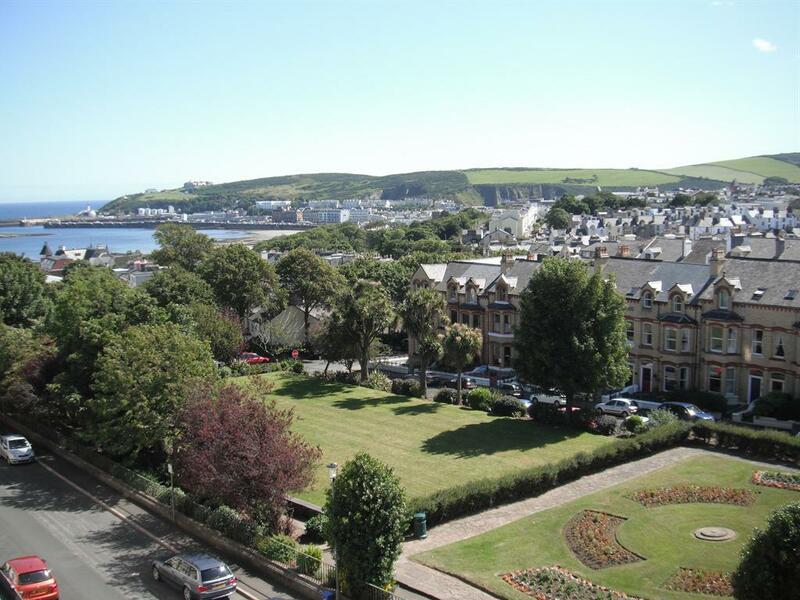 First floor rooms are available, however, second and third floor rooms have the best views overlooking Douglas Bay. Please request preference when booking, although this cannot be guaranteed..
A well presented triple room with either three single beds OR one double and one single. 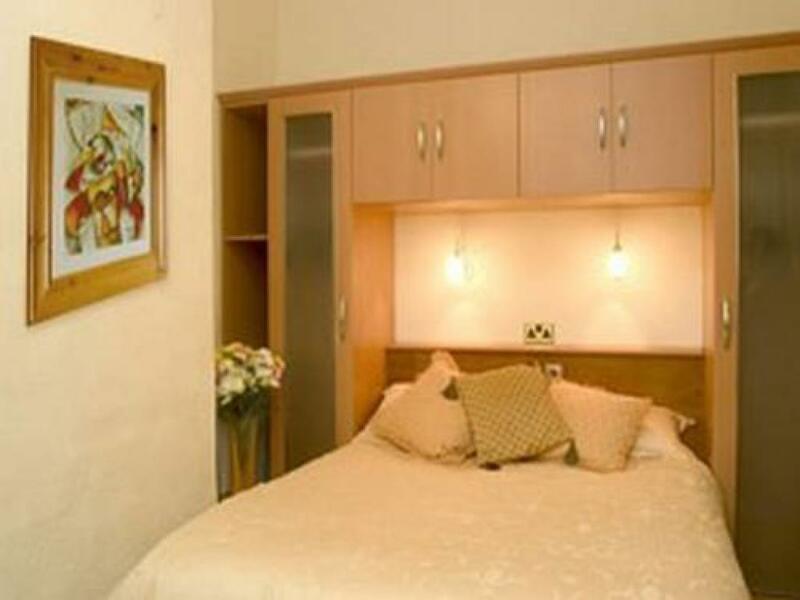 Ensuite with shower, flatscreen TV, radio/alarm and tea & coffee making facilities. Rate includes unlimited WiFi. 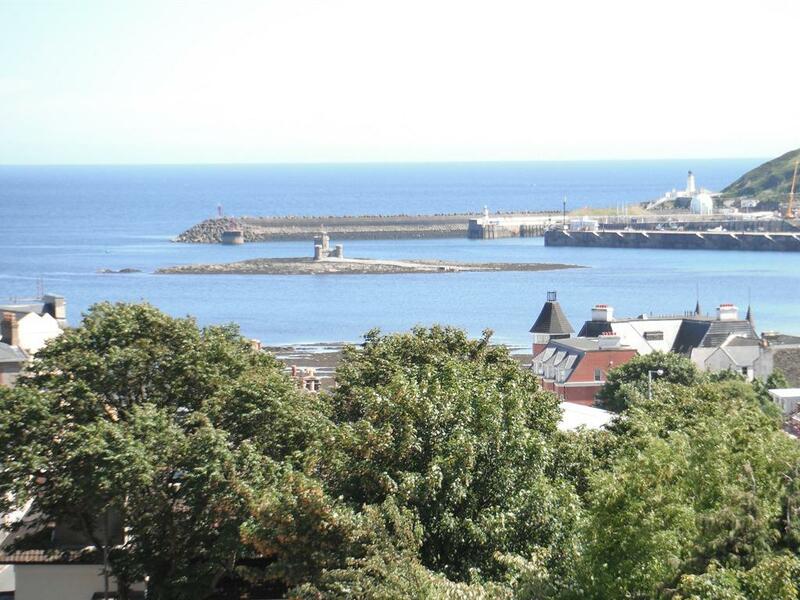 Rooms are on second or third floor and enjoy lovely seaviews over Douglas Bay. Please request bed preference when booking, although this cannot be guaranteed. Twin ensuites located in our sister guesthouse, the Ashton. Located a few doors away from the main house, this annexe is ideal for budget conscious travellers . Room has two single beds, ensuite with shower, flatscreen tv, hospitality tray and includes unlimited WIFI. Located on 2nd floor. Daily servicing included. 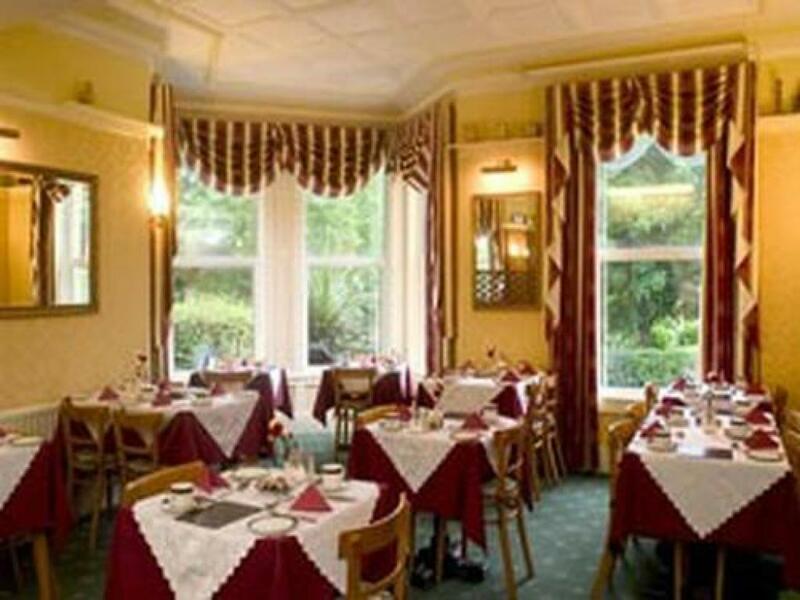 Rates are room only but Full Breakfast (served in the main guesthouse) can be added on check in. Double ensuite room in our sister guesthouse, the Ashton. Located a few doors away from the main house, this annexe is ideal for budget conscious travellers . Room has ensuite with shower, flatscreen tv, hospitality tray and includes unlimited WIFI. 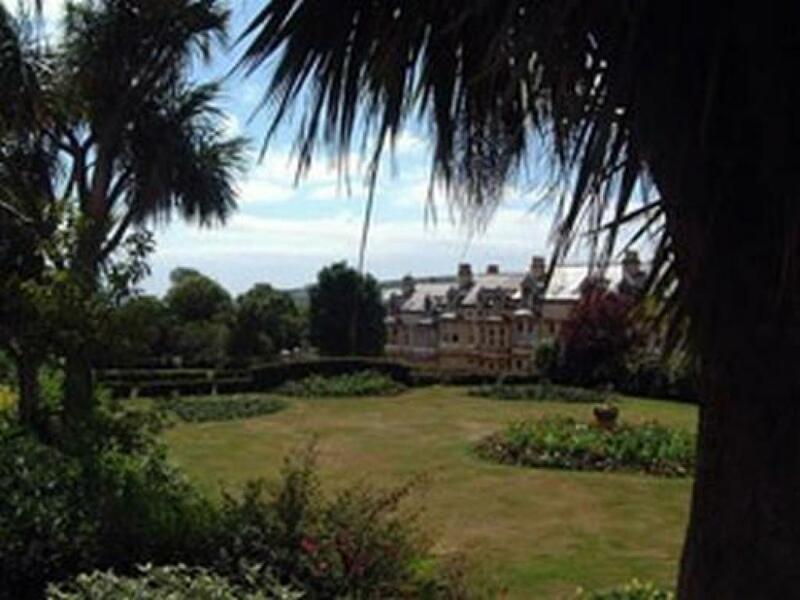 Located on 2nd floor, it has views over the garden square, with the sea in the distance. 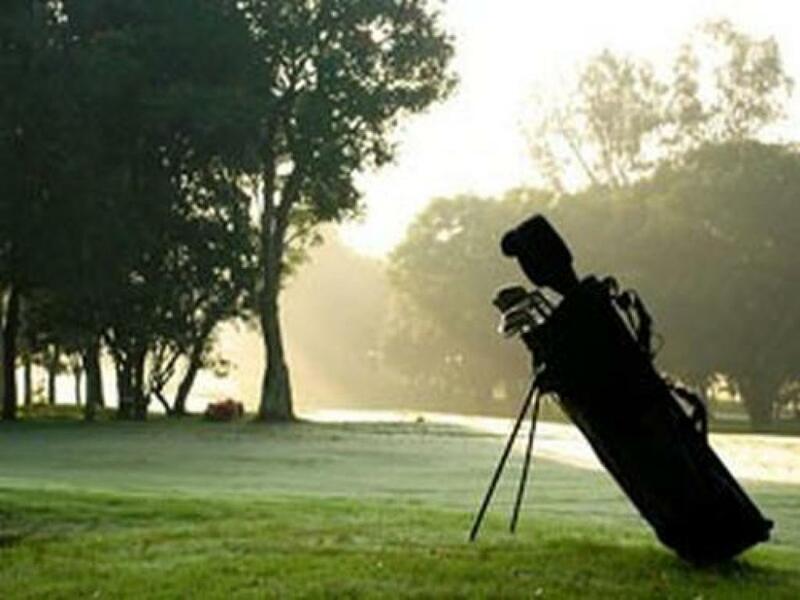 Rates are room only but Full Breakfast (served in the main guesthouse) can be added on check in. single room with shared bathroom facilities located in our sister property at no.28. Room has flatscreen tv, hospitality tray and is serviced daily. Shared public bathroom with shower. Rate includes daily servicing and unlimited WIFI. Rates are room only but Full Breakfast (served in the main guesthouse) can be added on check in. Twin room with shared public bathroom located in our sister property at no.28. Ideal for the budget conscious traveller looking for affordable accommodation that is both clean and comfortable. Rate includes daily servicing and unlimited WIFI. Rates are room only but Full Breakfast (served in the main guesthouse) can be added on check in. 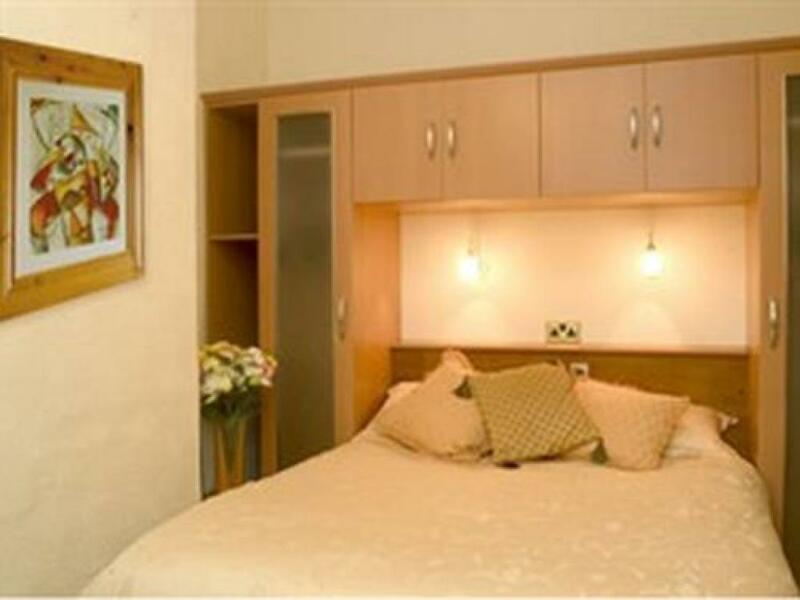 Self Catering apartment, 1 x double or 2 x single beds in bedroom. Fully fitted kitchen,washing machine,dishwasher etc. Bathroom with bath and overhead shower. Lounge with Tv/cd/dvd. Sofabed sleeping max 2 extra guests(surcharge applies) Rate includes all linen and towels with beds made up ready for your arrival, midweek service and towel change. 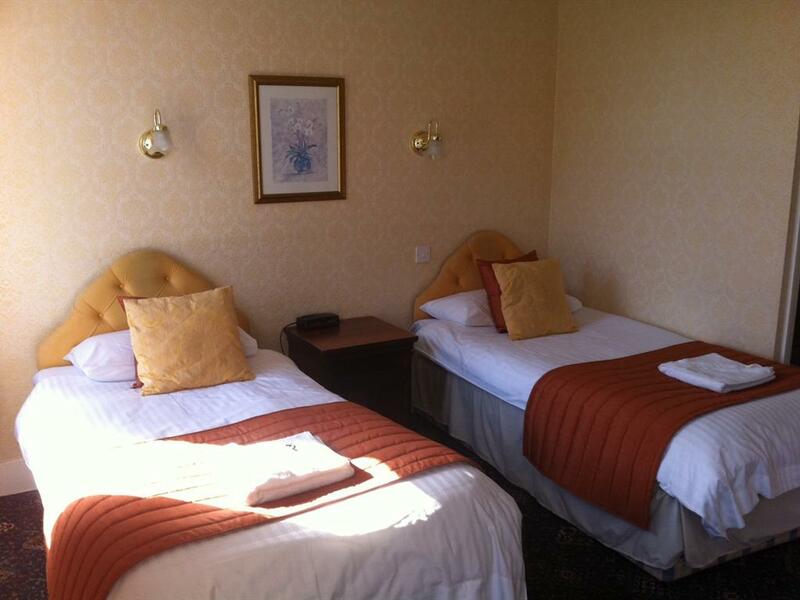 Free wi-fi.Please state your preference for either double/twin beds at time of booking. 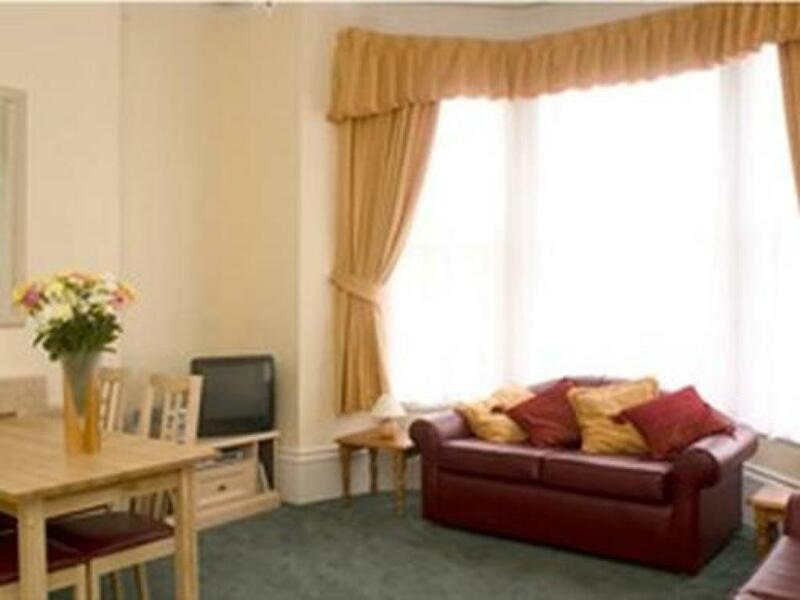 Self Catering Apartment, one double bedroom,one single bedroom plus double sofabed. Tv/cd/dvd. Open plan lounge/galley kitchen. Fully fitted incl dishwasher and washing machine.Rate includes all linen/towels with beds made up ready for your arrival. Midweek service and towel change. Tv/cd/dvd. Unlimited wi-fi. Newly refurbished double ensuites, located in our annexe property. Comfortable bed with pocket sprung mattress, large flat screen internet TV, USB charging points, high speed Wi-Fi, hospitality tray and hairdryer. Modern ensuites with shower, complimentary toiletries. Note: These rooms are also available for longer lets with full kitchen and laundry facilities available. Please contact us for details. Newly refurbished twin ensuites, located in our annexe property. 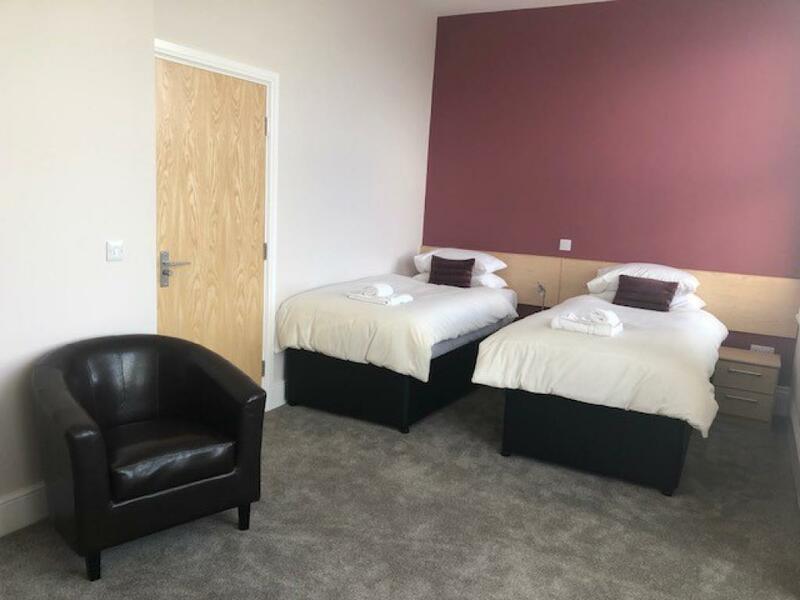 Comfortable single beds with pocket sprung mattress, large flat screen internet TV, USB charging points, high speed Wi-Fi, hospitality tray and hairdryer. Modern ensuites with shower, complimentary toiletries. Note: These rooms are also available for longer lets with full kitchen and laundry facilities available. Please contact us for details. 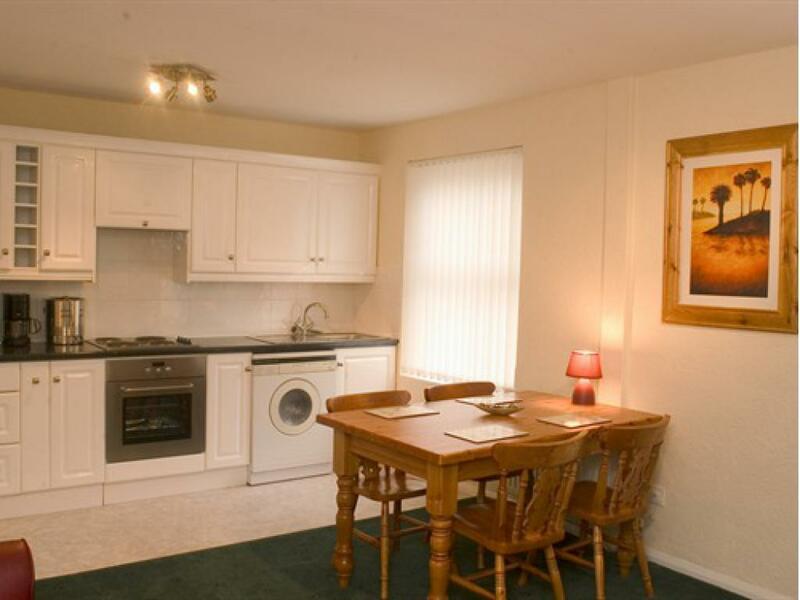 Newly refurbished large twin rooms, located in our nearby annexe property. Comfortable single beds with pocket sprung mattress, option of 3rd person on a fold-out bed. Large Flat Screen internet TV, USB charging points, high speed Wi-Fi, hospitality tray and hairdryer. Modern ensuites with shower, complimentary toiletries. Note: These rooms are also available for longer lets with access to full kitchen and laundry facilities. Please contact us for details. 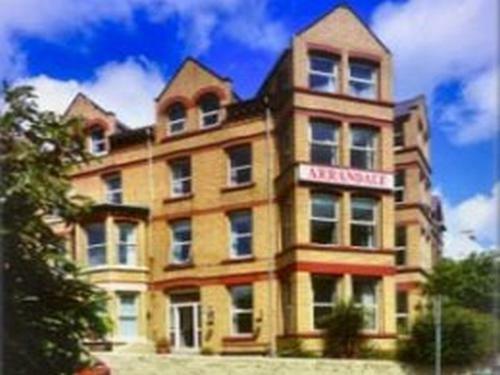 Please note, the Arrandale guesthouse and apartments are situated in 3 storey Victorian buildings which could limit mobility for people with certain disabilities. THERE ARE NO LIFTS in the buildings. Please request lower floor if required or contact the Arrandale direct for more information. From Sea Terminal, drive along Douglas Prom to junction where you give way to oncoming traffic (big flowerbed). Drive straight across junction and get into left hand lane (Gaiety Theatre on left). Continue to traffic lights where you turn left uphill. Approx 200 yds up hill is 2nd set of lights (chinese takeaway on right). Go STRAIGHT OVER these lights and take the next right into Marathon Rd (phonebox on corner) which leads onto Hutchinson Square. The Arrandale is on the left,after gardens.